Sono passati parecchi mesi da allora, ma l’amore è diventato sempre più forte… nonostante ci possiamo sentire solo per 10 minuti al giorno lui mi fa sentire la sua presenza…. Adesso viviamo di questo, delle sue telefonate, delle miliardi di lettere che ci scambiamo… delle “buonanotte” date alle 7.30 di sera… e delle licenze che sembrano non arrivare mai e che passano sempre troppo in fretta… so che non è come se stesse in missione, ma….. mi manca lo stesso…. E tantissimo! Di una cosa sono certa, sono profondamente innamorata di lui e sono orgogliosa di quello che fa e che vuole fare, non cambierei mai e poi mai la scelta che ho fatto di stargli accanto. 'Telling my love story with my future officer is like telling the love story of a film…a bit like ‘Sliding Doors’ in that we were constantly missing each other although we were at an arm’s distance. It all started about 10 months ago….a friend of my sister’s had invited us both to a show. I didn’t want to go ..I had other things to do..but in the end I did ( and he too told me some time later that he hadn’t wanted to go either and then changed his mind at the last minute. When we were there, my Carlo was part of the group and when we were introduced it was like being struck by lightening. Once home again I couldn’t stop thinking about him. A couple of weeks later, because of training I had to do to take some athletics tests to become a football referee, I went to enrol in the same gym as my sister and there he was too! Yet I had gone that many times previously to wait for my sister to finish her gym sessions! This time he was there standing laughing and talking with his friends. When our eyes met it was as though everything else disappeared but the days that followed were quite normal, we laughed and talked and my sister pushed us to go out together but it seemed like he didn’t care that much about me. Then one day we were talking about some TV programmes and messing around and he said “What if I asked you out to dinner?” I thought he was joking and just pulling my leg but he was being serious and it took a lot for me to wait 2 days to then tell him I’d go. He came to pick me up with his motorbike and first went for a ride then to have an aperitif and on to dinner. After we went for a walk around the piazza…a bit embarrassed but happy and we talked for hours until he finally decided right in the middle of the piazza to kiss me. We have been inseparable since that wonderful Friday 13th May..it has just got better and better. It has been different for me compared to other girls because when we met he was not yet in the military but doing the selection tests to get into Military School. he had already passed the first 2 tests and was waiting to do the medical tests. We were worried, we didn’t know how it would go, he was worried about me, we didn’t know what absence would do to a couple whose love story had only just began but neither of us wanted to give the other up. I kept him going through all the tests, travelling with him to them right up to the last and waiting for that phone call with the news of the outcome. But the joy of his being accepted was almost taken over by the fear of being apart, silence and absence. Since then several months have passed but our love has got stronger and stronger. Even though we can only talk for 5 minutes a day I can feel his presence with me. We are living on those phone calls and the thousands of letters that we write each other, we say ‘goodnight’ at 730 in the evening and leave never seems to come and then it passes only too quickly. I know this is nothing like how it will be when he is deployed but…..I miss him the same…..a lot!!!! Thanks, Giuliana, and everyone who’d like to share their story with us too. Sharing is Caring so we await to hear from you. Con questa citazione il sito della Croce Rossa Italiana inizia a raccontare la propria storia; una storia fatta di mille battaglie, di sudore e sangue accanto ai soldati di tutte le terribili guerre che hanno insanguinato il nostro territorio e non solo dal 1864, anno della costituzione del primo “Comitato dell'Associazione Italiana per il soccorso ai feriti ed ai malati in guerra”, in poi, sotto la presidenza del Dott. Cesare Castiglioni, passando attraverso la firma da parte dell’Italia della Convenzione di Ginevra e le due temibili guerre mondiali. I volontari della CRI sono lì accanto ai feriti, ai malati per dare aiuto, salvare vite umane, consolare. Sono passati oltre 150 anni dalla costituzione della CRI ed è stata in prima linea non solo in tempo di guerra, ma, in tempo di pace, anche nella lotta contro le malattie infettive, in Italia e all’estero. La battaglia di Solferino, quindi, è solo il principio fatto di un soccorso privo di mezzi, con unici presidi le lenzuola che, sporche del rosso del sangue dei feriti, sono rappresentate in tutta la loro drammaticità nello stemma. 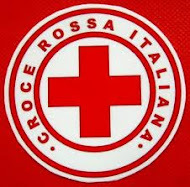 Le due fasce che costituiscono la croce della CRI altro non sono che le lenzuola sporche di sangue di quel primo intervento. Ho partecipato, qualche sabato fa, ad un corso insieme a loro. “Fasciature e bendaggi”. Interessante, utile, istruttivo e divertente. Così dopo due ore di teoria mi sono ritrovata ad imparare praticamente le tecniche di bendaggio ed altre nozioni che sarebbero indispensabili per chiunque, tra una battuta ed una risata, un pomeriggio meraviglioso. E’ una grande famiglia accogliente. E questa grande famiglia accogliente ha messo a disposizione le proprie professionalità anche per noi: il CRI Grottaglie, infatti, stiamo organizzando insieme a loro un CORSO DI MANOVRE DI DISOSTRUZIONE PEDIATRICHE per GENITORI/BABY SITTERS/EDUCATORI del gruppo di supporto 'L'altra metà della Divisa'. Per noi un onore! Volete diventare volontari della Croce Rossa? O solo maggiori info su di essa? Visitate il sito http://www.cri.it/informazioni.php e se siete di Grottaglie (TA) visitate il CRI Vds Gruppo di Grottaglie sulla pagina face book e/o direttamente nella sede di Via Osvaldo Cantore n.1. It is with this quotation that the Red Cross website begins to tell its history; history made up of a thousand battles, of sweat and blood of the soldiers of all the terrible wars which have bloodied our land, not only form 1864 in which the ’Committee of the Italian Association for aid for the war wounded and sick’ was set up but from then on and under the presidency of Dr Cesare Castiglioni through to the signing of the Geneva Convention and the two terrible world wars. Since then the Red Cross volunteers have always been there, beside the wounded and the sick to help, save lives and console. 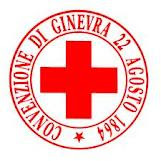 One hundred and fifty years have passed since the setting up of the Italian Red Cross (IRC) which has been present not only in times of war but also in times of peace fighting against infectious diseases here in Italy but also abroad. The Battle of Solferino was just the beginning and help just did not have the means to be carried out except by using the blood stained sheets which went on to dramatically symbolise the Red Cross. In fact the two white parts of the Red Cross symbol are but the two blood stained sheets used in that first intervention. What is the Red Cross today apart from finding out ots history on the website, who are the men and women that make it up and voluntarily give of their time for the organization? How does the Red Cross reach out and help the community? I was curious to know so decided to go and find out at the local branch here in Grottaglie (TA). Here the volunteers work in emergency callouts and like those of the 118 (ndt emergency phone number in Italy), operate where necessary. They are found in sports stadiums, processions and demonstrations in general and are doctors, nurses but also normal people, young and old, singles and couples who give their time, energy and resources to learn the techniques of emergency and first aid treatment so they can use it where necessary under the guidance of doctors and nurses. They follow and attend continuous training so they are kept constantly up to date but, unlike other people, their time is dedicated to others, not themselves. A few weeks ago I did a course with them on ‘Bandaging and Binding up’. It was interesting, useful, instructive and fun. After two hours of theory we moved on to the practical side, learning the techniques of putting on bandages - something which would be vital for anyone to know and so I passed a great afternoon. Oggi, 27 gennaio, Giornata della Memoria le amministratrici dell'altra metà della divisa hanno deciso di non pubblicare nulla, di stare in silenzio in segno i rispetto e per onorare e ricordare quel terribile evento della Storia che si chiama Shoah. ...ci perdiamo credendo che i veri valori della vita siano le "grandi cose", le auto, i vestiti firmati, i viaggi costosi...poi in un qualsiasi giorno di ottobre cammini per le vie di un luogo che è la rappresentazione del dolore, dove si respira il Male nella sua forma più cruda e inguardabile...piangi per tutto il tempo e per tutto il tempo le gambe sono sul punto di cedere e farti cadere in ginocchio chiedendoti solo "perchè? "...ti guardi allo specchio, ti tocchi le braccia, ti passi una mano nei capelli, ti chiudi nel cappotto caldo, stringi la mano delle persone che ti amano e ringrazi il Cielo di vivere qui, ora, così...lo ringrazi perchè possiedi ancora il più grande dono della vita: la DIGNITA'. Per la maggior parte degli italiani questa data non sarà altro che un inutile giorno sul calendario di 13 anni fa. Per un “piccolo popolo”, invece, ha significato l’inizio di un sogno. Il 20 ottobre 1999 l’Italia ha approvato la legge che permette l’ingresso nelle Forze Armate delle donne. La legge 380/99, art.1 cita: “Le cittadine italiane partecipano, su base volontaria, secondo le disposizioni di cui alla presente legge, ai concorsi per il reclutamento di ufficiali e sottufficiali in servizio permanente e di militari di truppa in servizio volontario, e categorie equiparate, nei ruoli delle Forze armate e del Corpo della Guardia di finanza”. E fu così che i sarti delle Forze Armate dovettero iniziare a cucire gonne invece che pantaloni! Il percorso è stato arduo: l’Italia è arrivata dopo molti anni a questo risultato che, nel mondo, ci vedeva a passo rallentato (vero è, anche, che la prima “ufficiale” donna – Francesca Scanagatta – era classe 1776, ma questa è un’altra storia).Basti, infatti pensare, che a livello europeo l'Italia è stato l'ultimo Paese ad approvare la legge che equiparava (anche se con alcuni limiti) il ruolo delle donne a quello degli uomini in ambito militare. I motivi erano numerosi: impreparazione psicologica e motivazionale, mancanza di supporto concreto legislativo ed operativoal sesso femminile, difficoltà di tipo pratico e logistico (organizzare una nave pr far convivere in uno spazio ristrettissimo sessi opposti non deve essere stata una passeggiata) e prchè no, anche mancanza di fiducia e sentimento di sospetto nell’aprire le porte di un ambito del tutto “maschile” a chi tutto era meno che “maschio” (su questo punto c'è stata e sempr4e ci sarà guerra aspra fra la scuola di pensiero del "LE DONNE POSSONO FARE TUTTO CIO' CHE FANNO GLI UOMINI" contro la scuola del "SIAMO DIVERSI PER NATURA E PREDISPOSIZIONI SIA FISICHE CHE PSICOLOGICHE, DIAMOCI, PERTANTO, RUOLI DIVERSI"). Ma, permettetemelo con un pizzico di vanto, anche in questo campo le donne hanno dimostrato di valere tanto quanto gli uomini, coadiuvando in molti casi il lavoro preesistente e arricchendolo di quelle doti di sensibilità e intuito, che nell’industria molti dirigenti avevano già sposato da tempo. Oggi la componente femminile delle Forze Armate ha superato quota 11.000 unità, in ogni ruolo e categoria (tranne che per le Forze Speciali e i Sommergibilisti – per ovvi e facilmente intuibili motivi di tipo organizzativo) facendosi valere anche in teatri pericolosi e in spazi che si ritenevano “inaccessibili” a loro. Iraq, Afghanistan, Penisola Balcanica, Libano e Somalia…in nessun teatro di guerra le donne sono mancate con il loro apporto. Guidano mezzi Lince ed insegnano a leggere e scrivere alle donne afghane, pattugliano basi militari e fortini ed offrono sostegno psicologico in quelle realtà dove la rigida “separazione dei sessi” aveva impedito agli aiuti umanitari (sino ad allora offerti da personale unicamente maschile) di arrivare, sono piloti validi e contribuiscono al reintegro in società e alla formazione culturale e lavorativa delle giovani donne irachene e libanesi. Tutto questo senza tener conto di coloro che lavorano in teatri non così pericolosi, negli uffici, nelle basi, nelle caserme e che contribuiscono con ordine e rigore e con altrettanta importanza al perfetto funzionamento delle attività. Naturalmente, esattamente come è avvenuto nel mondo del lavoro “civile”, con anni ed anni di dure lotte, le Forze Armate hanno cercato di andare incontro a quelle esigenze che sono per natura motivo di differenziazione fra mondo maschile e mondo femminile. La Legge oggi tutela in maniera specifica i diritti delle “madri con la divisa” attraverso permessi di maternità, ore di “uscita” per visite e controlli e cerca anche con “sbarchi” e “trasferimenti” di aiutare in ogni modo chi vuole unire la carriera alla famiglia. Di certo le polemiche non sono mai mancate. Quante di noi tremano ogni volta che sentono dell’arrivo di qualche nuova gonnella in base? Quante non hanno chiesto ai compagni imbarcati se ci sono donne “a bordo” storcendo il naso se la risposta era affermativa? Ma attenzione, prima di cadere nelle frasi fatte forse è meglio chiarire qualche punto. In ogni ambito lavorativo a prevalenza maschile, la presenza delle donne ha in qualche modo rotto gli equilibri preesistenti, non necessariamente in maniera negativa, ma di certo “destabilizzando” una specie di status quo che affonda le sue radici in tempi molto antichi. In ogni ambito lavorativo, quando una persona senza dignità e senza scrupoli decide di sfruttare le proprie “doti” senza guardare in faccia nessuno, questo ha creato malumori e dicerie. In ogni ambito lavorativo c’è sempre stato il maturo “dirigente” che ha ceduto alle lusinghe della “giovane stagista” o ha agevolato un po’ la sua carriera in cambio di “altro”. Questa non è prerogativa dell’entrata delle donne nelle Forze Armate, ma della scarsa intelligenza di chi si comporta in questo modo. Che ci sia chi non ama vedere una donna imbracciare un fucile o chi non ritiene giusto che una madre lasci i propri figli a casa quando parte per una missione, che ci sia chi pensa che le donne in divisa siano tutte delle “maniache” alla ricerca del superiore debosciato, chi pensa che gli uomini non abbiano nemmeno la forza di dire no alla prima carezza di una donna che non è la propria compagna, che ci sia chi vede le donne con la “divisa” come dei maschi mancati (fra l’altro spesso anche incapaci)…bè forse dovrebbe ricordare che siamo stati tutti dotati di un cervello e dell'infinito dono del libero arbitrio e che entrambi, qualche volta, andrebbero entrambi utilizzati. Se un uomo vuole tradirci, non deve necessariamente aspettare di farlo con una collega o su una nave, se una donna è ben decisa a portarci via il nostro uomo non si farà problemi se porta una divisa o no, se una madre lascerà un figlio per sei mesi forse lo fa a malincuore ma contemporaneamente sa che non lo sta “abbandonando” e che molti passi si fanno proprio per garantire ai figli un domani migliore, se una donna decide di essere seria e professionale (ed anche poco vanitosa o "notevole" in ambito lavorativo) questo non significa che dismessa la divisa non possa portare benissimo tacchi da 12 centimetri ed essere la più femminile e sensuale delle donne. Di certo, quel 20 ottobre di 13 anni fa anche l’Italia ha fatto un passo in avanti…ora sta solo a noi dimostrare che ne è valsa la pena! Pr gli approfondimenti sull’entrata delle donne nelle Forze Armate consultare il sito http://www.difesa.it/ (da cui sono state tratte le informazioni contenute in questo articolo). In Uniform with High Heels: the History and Truth about Women Military by Luana Fiorenza. For most Italians the 20th October 1999 will just be a useless date on the calendar of 13 years ago. For a small part of the population it meant the beginning of a dream. On this day the Italian parliament passed a law allowing women into the Armed Forces. 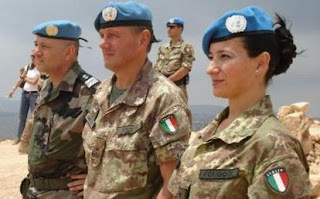 The Law 380/99 art.1 states: ‘Female Italian citizens may take part, according to the present law, in recruitment processes for officers and non-commissioned officers as voluntary, permanent members of the Armed Forces and the Finance police. And thus it was that the tailors working for the Armed Forces had to begin making skirts as well as trousers! It had been a hard road: Italy had taken a long time to get to this point compared to the rest of the world – though the first woman ‘officer’, Francesca Scanagatta, born in 1776 was Italian…but that is another story. In fact Italy was the last European country to approve a law that put women on a par with men in this regard – albeit with some limitations. There were numerous reasons why: psychological unpreparedness, lack of operational and legislative support, pratical and logistic difficulties ( it was not easy to organize the space in a ship to accommodate both men and women), and also it cannot be underestimated the suspicion and lack of confidence connected to letting women into an essentially male environment. From this viewpoint there will always be 2 different schools of thought – those who say women can do anything men can do and those who say the psychological and physical differences between the two sexes mean that they have different roles in society. Regarding the latter, however, I must say that women have demonstrated to be on a par with men, enriching work with their particular gifts of sensitivity and intuition and being able to carry out work even in industry at as high levels as men. Today there are over 11,000 women in the Armed Forces and are present at every level and category apart from the Special Forces and Submarine Divers – for obvious organizational reasons. They are present in those places which were thought to be not for women: Iraq, Afghanistan, Balkan Peninsula, Lebanon and Somalia, they have been wherever there has been war. They drive armoured vehicles, they teach Afghan women to read and write, they patrol military bases and camps and they give psychological help where there is a strict separation of the sexes and where humanitarian aid has not been able to get through because of this. They are competent pilots, they have helped Iraqi and Lebanese women in their cultural and working education. Then there are the area outside warzones like offices, military bases, barracks etc where they contribute to the general and efficient organization and running of such places.Of course, just like in the civilian world where years and years have been necessary, so also the armed Forces have tried to face up to the differences which naturally occur between the sexes. Nowadays the Law makes special allowances for the ‘mums in uniform’ and their maternity needs, times needed to go out for check ups and medical visits and to organize deployments so that the working career and the family are as uninterrupted as possible. Of course there are problems. Don’t we all tremble a little when we hear more females have arrived? Haven’t we all felt put out when we have heard there are women on board ship? But it is necessary to be clear on one point. In nearly all previously male dominated work circles the presence of women has, in some way, upset pre-existing ideas and concepts and not always in a negative way. Sometimes the destabilisation has been good for turning upside down ways of thinking that have been prevalent for far too long. Whatever the working environment, any unscrupulous person who tries to exploit their ‘gifts’ has caused bad feeling and gossip. Then there has always been the older boss who has given in to the wiles of a young intern and then got her promoted over someone more worthy. Women going into the Armed Forces don’t have the exclusive on this, people with little or no intelligence have promoted this type of behaviour. There will be those who think women shouldn’t handle firearms, mothers shouldn’t leave their children and be deployed abroad, there are those too who think women who go into the military are maniacs of some kind and that men are unable to resist any slight advance from a woman whilst there are those that women in uniform are just tomboys…and pretty incompetent with it…In spite of all this, people should remember that women have a brain too and quite able to use it. If a man wants to go off with another woman he is just as likely to and doesn’t have to be on board ship and she doesn’t have to be a work colleague. If a woman is determined to have our man she won’t worry if he is wearing a uniform or not. Finally, yes of course a Mum is sad to leave her child for 6 months but she is not abandoning him or her and one of the reasons she does that is to guarantee her child a better future and the woman who comes across as serious and professional when wearing her uniform in her job has every right to wear 5 inch heels and be as feminine and sensual as she likes when she isn’t.Italy definitely took a big step forward that day on October 20th thirteen years ago…now it is up to us to show that it was worth it! For more info on women going into the Armed Forces, see www.difesa.it from which I used info to write this article. Ciao a tutte dolci metà, voglio scrivere anche io la mia testimonianza di vita in questo bellissimo blog, quale "META'" di un militare! Da due anni sono fidanzata con un militare che, al momento, è qui a Taranto ma che ogni tanto parte in temporaneo imbarco o per brevi spostamenti di qualche giorno..fin qui nulla di speciale, sono una "metà" che divide col suo uomo questo lavoro, ma....udite udite...MIO PADRE, MIO ZIO, I MIEI DUE NONNI tutti della Marina Militare!!!!!! Ebbene sì, la Marina è stata ed è una costante della mia vita ed io questo mondo lo conosco bene per davvero!! Qui, così come promesso a SIlvia, voglio portarvi la mia testimonianza di figlia di un militare, più che di compagna! Quando partiva in navigazione gli mettevo sempre un mio giocattolo in valigia!!!!! Il momento più bello era quando la nave rientrava dalla navigazione e noi andavamo ad attenderne l'arrivo al Ponte Girevole, che emozione quei momenti, era così bello sapere che di lì a poco la nostra famiglia si sarebbe riunita!!!!!! Dopo l'imbarco, finalmente, venne trasferito "a terra" qui a Taranto e, tranne le volte in cui era di guardia o per brevi viaggi, avevo il mio papà tutto per me! anche se usciva alle 7 di mattina e rientrava la sera alle 8, però almeno lo potevo vedere tutti i giorni! Nonostante mio padre in Marina io ho quasi sempre vissuto a Taranto, non ho fatto la girovaga, come molti altri figli di colleghi, però per 2 volte mi sono spostata anche io e sempre per la stessa destinazione...MESSINA! La prima volta ci andai a 4 anni e la seconda a 13, entrambe le volte furono per 1 anno solo. Posso dire che furono entrambe bellissime esperienze, specie la seconda, della quale ho, ovviamente, molti più ricordi...Certo, dover cambiare scuola fu all'inizio traumatico, specie perchè, all'epoca, ero molto chiusa e timida, ma, proprio per questo, ho tratto beneficio da quell'avvenimento, visto che dovetti fare "violenza" su me stessa per potermi ambientare, ma non dovetti neanche sforzarmi più di tanto, visto che i siciliani sono persone meravigliose, dal cuore grande che mi fecero sentire subito una di loro!!!! Pensate che con una mia compagnia di classe sono tuttora in contatto ed è una delle mie amiche più care!!!!! Dopo Messina arriva la volta di Roma..lì però ci andò solo mio padre ed io e mia madre tornammo a Taranto, purtroppo pagare un affitto era impensabile e avere una casa di servizio.......LASCIAMO PERDERE! erano tutte occupate, molte anche chiuse, ma questa è un'altra storia!!!! Mio papà ha fatto il pendolare per 4 anni, e poi, finalmente Taranto, fino a che poi nel 2007 è andato in pensione! Io, avendo vissuto da vicino questa vita, e avendo visto l'angoscia di mia mamma quando mio padre partiva, le dicevo: ma come hai fatto a metterti con un militare visto che sapevi a cosa andavi incontro, avendo avuto un padre in Marina? IO MAI CON UN MILITARE!!!!!!!!! In effetti ho avuto un ragazzo che con la Marina non aveva nulla a che fare, poi la storia è finita e...ECCOMI QUA! fidanzata con un Militare!!! Però, a dirla tutta, sono felice di come è andata, primo perchè lo amo tanto e poi perchè continuo a stare nell'ambiente in cui sono nata e cresciuta! Spero di non avervi annoiate col mio romanzo!!! Un bacio a tutte e...FORZA E CORAGGIO!!!!!!!!!!!!!! 'Hi to all you lovely Halves, I’d like to write the story of my life on this great blog. I’ve been engaged to a military guy for the last 2 years here in Taranto. He goes off from time to time on board ship or elsewhere, nothing special there as I am a ‘half’ who shares her man with the job but listen up…..MY DAD, MY UNCLE AND BOTH MY GRANDADS were in the Navy!!!! !The Navy has always been part of my life and I really know it well! As I promised Silvia, I want to talk to you about being the daughter of a military man rather than the partner. My father was in the Navy for a number and it often happened, as you know well, that he’d be away for 2-3 months. I am an only child so when he was away, I’d be on my own at home with my Mum. Of course, my grandparents and aunts and uncles were around in the evening and the front door was closed and locked it was just me and my Mum and I really missed my Daddy. I remember that when I started school he used to send me letters and I used to feel so excited when they arrived and I couldn’t wait to read them. When he used to go off on board ship I used to put one of my toys in his suitcase!!! The best moment was when the ship returned and we’d all stand waiting at the Ponte Girevole, it was so exciting and just so lovely to think that our family would soon be back together again. After overseas, he was finally transferred ‘on land’ in Taranto and, except for when he was on short journeys or on guard duty, my Dad was there for me alone even though he’d go out at 7 in the morning and come back at 8 at night – at least I got to see him every day. Even though my Dad was in the Navy, I’ve lived most of my life in Taranto. I haven’t been all over like some colleagues’ children. But we did get moved twice, both times to MESSINA! 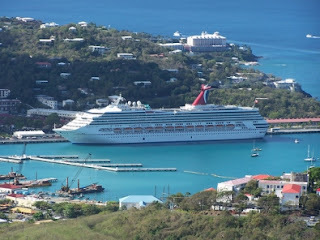 The first time we went I was 4 and the second, 13 – both times just for one year. I can say that they were both great experiences especially the second, which I obviously remember more about. It was hard to change schools though especially as at the time I was quite introvert and shy but it really did me good as I HAD to open up and fit in. I must say that I didn’t have to make that much of an effort because the Sicilian people were so nice and soon made me feel one of them! In fact, one of my schoolfriends is still in contact with me and is one of my best friends. After Messina came Rome but my Dad went there on his own and me and my Mum returned to Taranto. Paying rent was out of the question and a house on base…NO WAY!! They were all taken, some shut up too, but that’s another story! My Dad commuted for 4 years then back to Taranto where he retired in 2007. After living this kind of life and seeing how upset my Mum was every time my Dad left home, I used to say to her “Why did you get together with a military guy when you knew what it was going to be like with your Dad as one too?” I’d never do that!! I did have a boyfriend once who was nothing to do with the Navy but it didn’t last and HERE I AM – engaged to a military guy. I have to admit, I am happy about how things turned out. Firstly, because Ilove him a lot and then because I’m still part of the life I have been used to since I was little. I hope I haven’t bored you with my story. Big kiss to you all and Be Strong and Be Brave!!! Abbiamo parlato più volte degli obbiettivi che il Progetto 'L'altra metà della Divisa', si pone, vale a dire la creazione di una Rete di Supporto per le Famiglie dei Militari, che sia concreta ed ufficialmente riconosciuta a livello nazionale e che sia un punto di riferimento per sostenere a vari livelli ciascun componente della famiglia del Militare. Il sostegno si svilupperà attraverso attività di vario genere, ricreative e non, e servendosi dell'aiuto di consulenti ed esperti di diversi settori, al fine di garantire supporto a 360° alla famiglia e di conseguenza tranquillità e serenità al personale Militare in servizio. In questo modo ciascun Militare svolgerà il proprio impiego con maggiore concentrazione, grazie alla consapevolezza che le persone a lui care non verranno mai lasciate sole e verrà loro garantito l'aiuto adeguato, in ogni momento della loro vita. Ma quando è nato il 'Supporto' applicato alle famiglie dei Militari? E Perchè? Per rispondere a queste domande dobbiamo prima partire dalla definizione del verbo 'supportare' che significa letteralmente: avere la capacità di sostenere. Prevenire l'indebolimento, la mancanza. Dare forza. Provvedere alle altrui necessità. Dare aiuto o incoraggiamento ad una persona o una causa. Queste semplici definizioni, che non dobbiamo mai dare per scontate, sono sufficienti a fare luce su quelle che sono le basi sulle quali si fonda il nostro progetto. E' quindi facile intuire le motivazioni per le quali il supporto è stato originariamente accostato alle famiglie Militari. Famiglie che devono affrontare quotidianamente problemi anche di grossa portata, come la distanza, la costante preoccupazione per le sorti del proprio caro lontano, famiglie che spesso sono costrette a spostarsi, trasferirsi, per motivi di servizio e che hanno a che fare con continui cambi di scenario ed ambiente (casa, scuola, amici, vita quotidiana), famiglie in cui la parola 'abitudine' è totalmente sconosciuta e che spesso hanno a che fare con la solitudine, la mancanza di punti di riferimento, l'assenza di aiuto da parte delle istituzioni, se non in casi gravi ed eccezionali. Da qui l'insorgere in queste famiglie, di problematiche correlate allo stress , quali depressione, traumi e disturbi psicologici di vario genere, ecc. che vanno poi per ovvi motivi ad influire sul componente Militare della famiglia stessa, minando la sua serenità mentale e la concentrazione necessarie per affrontare il proprio lavoro in modo efficiente e sicuro. Delle problematiche relative a queste 'patologie da stress', parleremo in modo approfondito in un altro momento. Concentriamoci ora sulle origini della famiglia Militare. Le prime notizie riguardo l'istituzione delle famiglie Militari, considerate come parte integrante della vita del Militare stesso e quindi parte fondamentale del suo benessere e responsabili in modo diretto del suo atteggiamento positivo e della sua concentrazione nel lavoro, risalgono a dopo Seconda Guerra Mondiale, negli Stati Uniti. Fino a quel momento pare che le Forze Armate scoraggiassero i Militari dall'avere un nucleo familiare proprio e stabile, perchè quest'ultimo veniva visto come una distrazione che influenzava in modo negativo l'esito del lavoro e la produttività del Soldato. Fu solo durante la Seconda Guerra Mondiale che le Forze Armate americane iniziarono a comprendere il potenziale ruolo che la famiglia poteva assumere come sistema di supporto per i Soldati al fronte, anche se, nonostante questa consapevolezza, continuarono a mantenere la vecchia linea, scoraggiando i Militari dal costruirsi una propria famiglia. Sembra che questa procedura valesse però solo per i Sottufficiali, i più bassi in grado, dato che ci sono parecchie testimonianze di Militari con tanto di nucleo familiare regolarmente formato, tra gli Ufficiali più alti in grado. Il riconoscimento ufficiale ed istituzionale dell'importanza delle famiglie Militari, senza distinzione di grado e Forza Armata, risale però alla fine della Seconda Guerra Mondiale, quando appunto le basi Militari americane iniziarono ad ospitare, non solo i Soldati, ma anche le loro famiglie. Già durante la Guerra Fredda , entrò in vigore la norma per cui ai Militari trasferiti di base in base, fu permesso di portare con loro le famiglie, alle quali veniva fornita una casa e sussidi/aiuti speciali di vario genere, presso la base di arrivo, tutti regolarmente approvati e concessi dal Governo. Si arrivò velocemente a capire che la famiglia doveva essere preparata a sostenere il peso di una Missione, tanto quanto il Soldato, e capace di adattarsi ai cambiamenti e alle problematiche delle strutture e degli ambienti Militari. 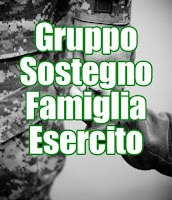 Alla famiglia Militare venne presto riconosciuto da parte di tutte le Forze Armate quel fondamentale ruolo di supporto al Soldato e all'intero sistema Militare. Per questi motivi il Governo istituì diversi servizi destinati ad aiutare le famiglie (aiuti finanziari, supporto psicologico, servizi logistici, servizi per l'istruzione dei figli, agevolazioni di vario genere, ecc). Molti di questi servizi non furono solo riservati ai familiari dei Militari, ma anche ai Militari stessi, proprio perchè le famiglie Militari, nella loro interezza, furono da quel momento considerate parte integrante della struttura Militare. Ai giorni nostri la famiglia Militare è diventata di vitale importanza per le Forze Armate americane, e di altri Paesi europei e non, proprio perchè si è dimostrato che è grazie alle famiglie che negli ultimi 60 anni, i Soldati hanno sviluppato un maggiore senso di dedizione ed attaccamento verso il proprio lavoro, oltre che un maggiore entusiasmo nell'affrontare i compiti da svolgere nel proprio Paese, così come nelle Missioni all'Estero. Qual'è però la situazione a casa nostra, in Italia? Per adesso posso solo dirvi questo, rimandandovi al mio prossimo articolo in cui approfondirò il discorso partendo appunto da noi, dal nostro Paese, viaggiando nel passato ed arrivando fino ai giorni nostri, e chissà che magari ripercorrendo la grande storia della nostra amata Italia, non capiremo insieme dove ci siamo persi e da quando i Militari hanno iniziato ad essere, per il resto dei cittadini, una parte distaccata della popolazione da guardare a distanza ed elogiare solo in alcuni sporadici momenti. Tenterò anche di approfondire il ruolo che oggi le famiglie Militari giocano in Italia, quel ruolo, altrove ritenuto fondamentale, che ancora adesso a casa nostra, è troppo poco riconosciuto e che spesso e volentieri fatica a trovare il proprio posto non solo all'interno delle istituzioni Militari, ma anche e soprattutto nella società. Solo partendo dall'ABC, navigando tra storia ed attualità, cercando di fare il punto della situazione, potremo forse riuscire nel nostro intento più importante che è quello del riconoscimento del nostro ruolo come famiglie Militari e quindi parte integrante di quel meccanismo che contribuisce a dare alle Forze Armate personale efficiente, psicologicamente sereno e produttivo. La serenità dei nostri Soldati dipende da ciascuno di noi, ma chi tutela la nostra serenità, chi ci supporta e chi ci da sostegno? Siamo qui per provarci. Insieme. We have spoken of the objectives of ‘The Other Half of the Uniform’ several times ie. the setting up of a concrete support network for military families, recognized nationally, which will provide support at all levels for each member of the military family. This support will take various forms, both recreational and non-recreational, and will make use of consultants and experts so that the family has all-round support at all times. Thus the military themselves are able to carry out their duties without the extra worry and concern for their families which might otherwise disrupt their concentration and commitment to their job. So when did ‘support’ for Military families begin, and why? To answer this question we have to first define the meaning of the word ‘support’. Literally it means “ being able to hold up, preventing weakening and failing, giving strength, providing for others’ needs, giving help and encouragement to a person or cause”. These simple definitions are enough to help us understand the basis on which our project is founded. It is therefore easy to work out why support was originally afforded to Military families. These are families that have to face the difficult issues of distance, worry about their loved ones every day plus moving or being moved around to different places which means having to deal with a different environment – school, house, friends, everyday life – In these families the word ‘habitual’ is rare or non-existent and often means loneliness, lack of focus and the absence of any help from public institutions except when serious and tragic events arise. Naturally, such families are prone to suffer from stress-related problems such as depression and psychological traumas and disorders. For obvious reasons, these will then take their toll on the military member of the family, threatening his or her mental well-being and the concentration they need to do their job efficiently and safely. We will talk about stress-related pathologies in more detail at another time but for now we will concentrate on the origins of the Military family. The first mention of Military families as being an integral part of military life and basic to the well-being of the military was in the USA at the end of the Second World War. Until that time it would seem that the Armed Forces were discouraged from having any kind of family nucleus as this was considered a distraction which negatively influenced their work and productivity. It was only during the Second World War that Military authorities began to recognize the potential role that the family might play as a support to soldiers on active duty. In spite of this realization, however, they continued to maintain the old idea and discouraged the Military from having a family. It would appear that this was only true for low-ranking military as there is plenty of evidence that higher-ranking officers did have families. It was at the end of the Second World War that military families began to be recognized officially at all levels and the American military bases were opened up, not only to the soldiers themselves, but also to their families. During the Cold War, a law was passed that allowed military moving from base to base to be accompanied by their families who were given a house, benefits and assistance of various kinds once they arrived at the new base. Soon it was understood that the family would have to bear the weight of any deployment – as much as the soldier himself – and would have to adapt to the changes and difficulties wrought by Military set ups and environments. The Military family was soon recognized by all the Armed Forces as having a fundamental supporting role both to the soldier and to the whole Military system. For this reason the Government set up various services to help the families, ( financial help/aid, psychological support, logistic services, schools for the children and other benefits). 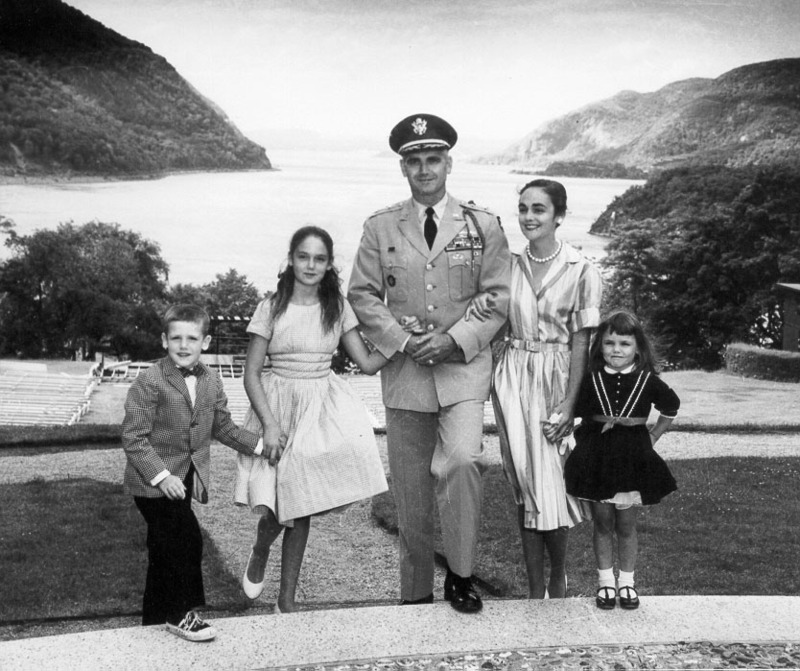 Many of the services were reserved for military family members as well as the military themselves as the military families were wholly integrated into the military structure. 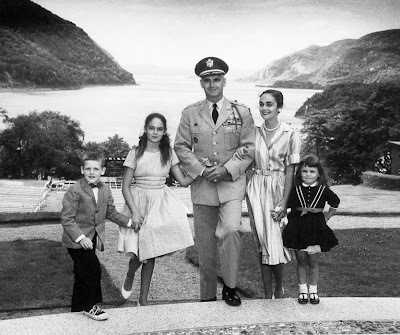 Nowadays the Military family is considered vitally important for the American Armed Forces and also for other European and non- European countries. This is due to the fact that in the last 60 years the Military have developed a greater sense of dedication and connection to their jobs and greater enthusiasm in facing their duties, not only in their own country but also when deployed abroad. So what is the situation here in Italy? I will continue this subject in another article which will take us back to the past and return to the present, going through all the history of our beloved Italy and we just might understand where we got lost and where, for most of the population, the Military started being a people cut off from the rest of the population, a people looked at from afar and only praised now and then. I will also try to go into the role that Military families play in Italy today, that role which is considered so fundamental elsewhere but which, here in Italy, is hardly recognized and finds it difficult to play a part in the military institutions, let alone in the society outside. We have to go back to the beginning and go through history to make sense of our intention which is to get the role of military families recognized in Italy and to be accepted as an integral part of our Armed Forces, helping to make them more efficient, productive and giving them the peace of mind they need. The serenity of our soldiers depends on each one of us but who looks after ours? Who gives US help and support? We’re here to try. Together. Care ragazze e compagne di questi mesi, eccomi qui anche io a raccontarvi la mia storia. In questo momento il mio ragazzo si trova in Afghanistan e da quando ci conosciamo è la terza che passa in quella terra così lontana e tanto pericolosa! Ci siamo conosciuti nel novembre del 2007. Esattamente il 23 novembre!Io in quel periodo frequentavo l’università e per avere qualche soldino facevo durante il fine settimane la promoter della Ferrero presso un centro commerciale nel paese in cui vivo. Quel week end dovevo promuovere la Nutella!! Erano circa le 9 del mattino, io ero appena entrata per sistemare il mio banchetto, i barattoli di Nutella e avevo una “bellissima” giacca rossa, quando vedo due ragazzi in divisa. Man mano si avvicinano mi rendo conto che sono dei militari… li osservo ma poi il mio sguardo si incrocia con il suo… Ricordo ancora benissimo quel momento … Avete presente quando nei film le scene rallentano e non esiste nessun altro se non i tuoi occhi che guardano i suoi e viceversa.. ecco io quel momento lo ricordo così … Fatto sta che mi passa davanti diverse volte..mi chiede qualche informazione e se ne va. Io rimango ancora per un attimo a pensare ai suoi occhi, poi inizio a lavorare senza pensarci troppo quando ad un certo punto una commessa mi viene a cercare e mi chiede: “sei tu la ragazza della nutella? Un ragazzo mi ha lasciato questo bigliettino per te”. Io lo apro e c’era il suo numero di cellulare!Dal quel momento tutto è iniziato! È iniziato il mio sogno ma anche la triste realtà! Dopo 15 giorni che ci eravamo conosciuti è stato trasferito in toscana e in aprile sarebbe dovuto partire per Kabul! Lui da subito mi ha presentato tutta la sua situazione e tutto quello che avrebbe comportato la scelta di iniziare una storia con lui! In quel momento ho fatto una scelta, ho scelto lui con il suo lavoro e il suo cane!!!! !E si, è proprio cosi perché il mio ragazzo è un cinofilo dell’esercito italiano, quindi quando lui parte in missione non è mai solo, ha la sua compagna di lavoro, di vita e di viaggio.. una bellissima femmina di pastore tedesco addestrata per la ricerca degli esplosivi..Ma di lei non solo gelosa J anzi…… All’inizio avevo tanta paura di non riuscire a gestire questa situazione più grande di me … una storia appena nata, la distanza, i campi pre missione, gli addestramenti, la missione…. Lui però appena poteva saliva sempre da me e devo ringraziare lui se ho avuto il coraggio e la forza di affrontare tutto! Se mi guardo indietro abbiamo fatto tanti sacrifici, ancora oggi ne facciamo ma rifarei tutto, tutto e non lo cambierei con nessun altro al mondo anche se le missioni ci costringono lontani per tanti mesi..Con lui ho imparato ad apprezzare le piccole cose che tante volte le coppie “normali” sottovalutano o danno per scontato.. il semplice tenersi per mano e passeggiare, un bacio, un abbraccio, le chiamate sul cellulare … ma con lui ho scoperto anche grandi emozioni, ho provato cosa significa vederlo partire, potergli dare l’ultimo bacio, l’ultimo abbraccio con la consapevolezza di poter riprovare quelle sensazioni dopo 6 lunghi mesi…. ma ad ogni partenza corrisponde il rientro e l’emozione che si prova quel giorno ti fa davvero capire che ne vale davvero la pena vivere con lui!In quell’attimo i mesi tristi senza di lui sono già un ricordo lontanissimo, tutto è esattamente come prima,anzi si è ancora più forti e ancora più convinti che l’amore quello vero supera ogni distanza, ed capace di mantenere il rapporto vivo come si ci si potesse vedere ogni singolo giorno! Ora sono di nuovo in attesa di questo momento.. spero arrivino presto i primi giorni di Aprile per poterlo riabbracciare. Ringrazio lui per l’amore che mi regala ogni giorno, per avermi fatto diventare una donna forte in grado di affrontare queste situazioni e ringrazio voi per la comprensione , il conforto e la compagnia nei giorni più difficili!!! Quando Deborah mi ha chiesto di scrivere un articolo che avesse come argomento i consigli per organizzare un matrimonio perfetto,ci ho pensato solo pochi attimi e poi mi sono detta: il matrimonio perfetto esiste,eccome! Il segreto sta tutto in una frase di Preston Bailey,uno dei più grandi event planner americani: il matrimonio deve essere "la più bella rappresentazione di voi due e delle vostre vite insieme"! Scontato,direte voi. Magari, rispondo io. Spesso accade che un matrimonio diventi il palcoscenico di scelte dettate dai motivi più svariati, tranne che da quello realmente importante: quello che desiderate veramente. Dunque il primo e fondamentale passo verso un matrimonio perfetto è questo,talmente semplice da essere a volte sottovalutato: dovete amare quello che scegliete! Mesi di giri affannosi e di dubbi più o meno amletici (del tipo "forse lo scollo profondo mi stava meglio" dopo aver firmato il contratto con l'atelier) devono convergere verso un unico obiettivo: quel giorno tutto deve parlare di voi e del vostro amore. Una volta detto questo mi riesce molto più facile darvi qualche consiglio "pratico". Una volta decisa la data (questo è davvero fondamentale),la vostra scala delle priorità vede al primo posto la scelta di chiesa e luogo del ricevimento: muovetevi almeno un anno prima,soprattutto se preferireste morire piuttosto che rinunciare a quella data o a quella location così famosa. Ma se non vi si può annoverare fra quelle coppie sagge che giocano con largo anticipo,il mio consiglio personale è quello di essere molto flessibili e,all'occorrenza,valutare anche soluzioni alternative. Senza dimenticare nel frattempo di espletare tutte le formalità burocratiche,circa sei mesi prima dedicatevi alla scelta del fotografo,prenotate il viaggio di nozze e buttatevi a capofitto nel pellegrinaggio per la scelta degli abiti. Che sia sartoriale o confezionato,lungo o corto,candido o colorato,anche in questo caso il consiglio più sensato è uno solo: l'abito giusto è quello che vi fa sentire a vostro agio. Un unico accorgimento: regole di bon ton a parte,ricordatevi che lo sposo NON è un accessorio...ovvero se optate per un abito molto romantico o importante,fate in modo che lui lo venga a sapere: sposarsi con le All Star è da fighi,ma se vi presentate all'altare con lo strascico lungo svariati metri,potreste correre il rischio di sembrare due persone che si sono trovate lì per caso!!! Più o meno fra i sei ed i quattro mesi prima pensate agli addobbi floreali,ricordando che si possono fare allestimenti bellissimi anche con fiori molto semplici e,soprattutto,che si può risparmiare un bel pò scegliendo fiori che non siano fuori stagione. Fra i sei ed i quattro mesi prima scegliete anche le fedi,partecipazioni ed inviti,l'intrattenimento musicale con eventuali animatori e le bomboniere. Le partecipazioni andranno spedite almeno due mesi prima,mentre per i soli annunci basta un mesetto. In ogni caso potrebbe essere molto carino realizzare un "save the date",ovvero un annuncio molto creativo che,spedito (realmente o virtualmente) in tempi utili,avvisa parenti e amici di tenersi liberi per "quel giorno": i dettagli verranno specificati in seguito nell'invito vero e proprio. Nella scelta della bomboniera non lasciatevi scoraggiare dalla paura di acquistare un oggetto inutile o poco gradito: premesso che ormai ci sono bomboniere per ogni budget,divertitevi scovando qualcosa che,oltre che utile,simbolicamente possa anche parlare di voi: un oggetto fatto a mano e ricamato con le vostre iniziali,un prodotto tipico del luogo in cui vi sposate o del vostro paese d'origine,semi,fiori o bulbi da piantare e che cresceranno forti come il vostro amore. Se proprio non amate gli oggetti,sempre gradita è una bomboniera solidale: in ogni città ci sono associazioni benefiche che finanziano i progetti più disparati. Qualunque sia la bomboniera,non dimenticate i confetti: bianchi,alla mandorla e rigorosamente in numero di cinque! Se poi non avete troppo tempo a disposizione o se semplicemente desiderate che qualcuno coordini tutti gli aspetti del vostro matrimonio in maniera discreta e professionale,rivolgervi ad un wedding planner potrebbe essere l'idea giusta. Un bravo professionista saprà essere certamente di grande aiuto con proposte originali,efficaci e adatte al vostro budget. Dopotutto...keep calm,it's only a wedding!!! Quanto è bello viaggiare, scoprire nuovi Paesi, nuove culture, angoli del mondo tanto belli da risultare indimenticabili. Entrare in un’agenzia viaggi ed avere a disposizione tutti quei depliants, tutte quelle opportunità. Soprattutto per chi come noi con fatica riesce ad organizzare le proprie vacanze, è cosa che rallegra come poche. L’entusiasmo, però, con il quale ci approcciamo a tutto ciò può essere un’arma a doppio taglio perché, presi da tanta gioia, rischiamo di diventare ingenui e fidarci troppo delle promesse e del savoir faire di agenti, commessi e tour operator, che spesso promettono crociere da sogno e viaggi unici a prezzi stracciati. Non sono pochi coloro che sono caduti in autentiche “trappole” e così viaggi indimenticabili si sono in poche ore trasformati in veri e propri incubi o hotel a quattro stelle si sono rivelati bettole con gli scarafaggi. Che fare allora per tutelarsi il più possibile? Accertarsi che venga rispettata la vigente normativa (questo ovviamente non vale soltanto per i pacchetti turistici), ricordiamo sempre che oggi grazie ad Internet possiamo autotutelarci facendo ricerche sui più svariati argomenti e se, sapete ben cercare, non vi sarà difficile giungere davanti ai vostri interlocutori più consapevoli. Per quanto attiene alla normativa che riguarda la vendita di pacchetti turistici da parte di agenzie e tour operator la normativa di riferimento è quella del c.d. Codice del Consumo, il D.lgs. 06/09/2005 n. 206, negli artt. da 84 a 100.
modifiche delle condizioni contrattuali di cui all'articolo 91." Ciò significa che non dovete dare per scontato nulla, fate specificare nel contratto la tipologia di stanza che state prenotando, non date per scontato che il bagno sarà in camera, la colazione del mattino compresa nel prezzo della stanza o le bevando incluse( in molte luoghi, infatti la colazione ad esempio deve essere pagata a parte e le bevande in molte crociere non sono incluse nel "all inclusive"). Se vi recate all'estero e soprattutto in Paesi Extraeuropei fatevi fornire per iscritto tutte le informazioni relativi ai documenti necessari, obblighi sanitari, orari degli spostamenti ed eventuali coincidenze oltre a tutti i numeri di telefono necessari in caso di difficoltà. Ricordate che eventuali opuscoli informativi fanno parte integrante del contratto ed io vi consiglio di far specificare ciò in forma scritta esplicitamente che tali allegati si intendono in tal modo. Facilmente, inoltre, ci si ritrova a dover affrontare spese ulteriori dovute a rialzi del prezzo di carburanti o altro, per evitare sorprese non preventivate chiedete sempre all'agente di viaggio se sono previsti ulteriori rialzi sul prezzo iniziale e fate specificare le singole voci, ricordando che il rialzo non può superare il 10% dell'intero importo pattuito, se al contrario il rialzo è superiore potete recedere dal contratto, previo rimborso delle spese sostenute dalla controparte. Ricordate, il prezzo non può più subire variazioni nei venti giorni che precedono la partenza. Eventuali modifiche al contratto vi devono essere comunicate e potete recedere dallo stesso qualora non le riteneste rispondenti alle vostre esigenze e nel caso in cui siate già partiti già e le condizioni sono tali che il viaggio non si può svolgere come pattuito, il tour operator deve provvedere a idonee alternative. Ovviamente avete diritto al risarcimento dei danni eventualmente verificatisi nel corso del viaggio, sia di natura patrimoniale che personale a meno che la causa non sia a voi imputabile e causata da forza maggiore o caso forutuito. E' importante sapere, in conclusione, che in caso di fallimento del tour operator o dell'agenzia viaggi ovvero in caso di insolvenza è stato istituito un Fondo di Garanzia al quale poter fare istanza per la restituzione di quanto versato o per permettere il vostro rimpatrio se siete all'estero e per una di tali cause il vostro volo o altro mezzo è venuto a mancare. Se avete scelto un'agenzia seria state certi che la stessa vi tratterà con riguardo seguendo queste semplici indicazioni, facendovi firmare un contratto dettagliato ed analitico e rilasciandovene una copia. Se al contrario vedete poca attenzione a questo che può sembrare un dettaglio...fuggite altrove. Molti di voi avranno notato che nelle immagini che utilizziamo per decorare il nostro blog e la pagina facebook, e per lanciare slogan a favore del supporto alle famiglie dei Militari, ci serviamo spesso dei famosi 'nastri gialli' (yellow ribbons in inglese). Per molti, il messaggio lanciato da questo simbolo è già noto, molti altri lo hanno intuito seguendoci, ma oggi vogliamo approfondire il discorso e fare un pò di storia per spiegarvi quali sono le sue origini e perchè ha assunto un significato così importante per chiunque abbia un Militare in famiglia. Era il 1979 quando per la prima volta il Nastro Giallo assunse un forte valore simbolico nell'ambito del sostegno e del supporto da parte delle famiglie che attendono un loro caro trattenuto lontano da casa. In quell'anno ci fu una grave crisi politica tra Stati Uniti ed Iran che sfociò con il sequestro, da parte di un gruppo di studenti iraniani, di 52 membri dell'ambiasciata statunitense che venne occupata a Theran. I 52 americani restarono in ostaggio dal 4 Novembre del 1979 al 20 Gennaio 1981. Nel corso di questi anni vennero messi in atto diversi tentativi per liberare i prigionieri. Vennrero inviati alcuni elicotteri militari che però a causa di motivi non chiari, si scontrarono tra loro. Otto Soldati morirono nell'incidente, mentre altri 4 rimasero feriti. La popolazione americana rimase indignata da questi gravi episodi e dalla completa e totale noncuranza, da parte degli iraniani, dei diritti internazionali e dell'immunità diplomatica riservata alle ambasciate in territorio straniero. Nel dicembre del 1979 Penelope Laingen, moglie di Bruce Laingen, il più anziano dei funzionari presi in ostaggio, dopo diversi tentativi falliti di tenere alta l'attenzione della stampa sul caso, ne adottò uno che la aiutò ad ottenere lo scopo desiderato. Ispirata dalla canzone 'Tie a Yellow Ribbon Round the Ole Oak Tree' ('Lega un Nastro Giallo attorno alla Vecchia Quercia'), scritta nel 1972 da Irwin Levine e L. Russel Brown e resa famosa dal gruppo Tony Orlando and Dawn, legò un nasto giallo attorno al tronco di un albero nel giardino della sua casa, in Maryland, sulla scia di una precedente iniziativa di Gail Magruder, moglie di Jeb Stuart Magruder, che avvolse appunto un nastro giallo attorno ad un albero del prato di casa, in occasione della liberazione di suo marito, dopo un periodo di reclusione in carcere perchè coinvolto nello scandalo del Watergate. Penne comunicò l'iniziativa ad un giornalista del Washington Post che stava scrivendo un articolo sulle famiglie degli ostaggi di Theran e sullo stress emotivo causato dalla terribile esperienza che stavano affrontando. Il giornalista descrisse nell'articolo l'iniziativa di Penne (Penelope) e presto la nazione fu invasa da nastri gialli avvolti intorno ai tronchi degli alberi nei prati di ogni casa. Fortunatamente gli ostaggi, dopo un lingo periodo di prigionia, vennero liberati grazie ad accordi diplomatici intercorsi tra i due Paesi, e le famiglie poterono riabbracciare i propri cari. Il valore simbolico dei Nastri Gialli, da quel momento in poi, continuò a conservare il proprio significato e l'iniziativa riprese piede in occasione della Guerra del Golfo, durante la quale l'esposizione di un Nastro Giallo legato attorno agli alberi dei giardini, sotto ai portici, sui balconi o indossati, assunsero ancora di più un significato di solidarietà e di dimostrazione d'amore e di vicinanza, nei confronti dei propri cari lontani ed in situazioni di pericolo. E ora che tutti conoscete la vera storia dei famosi Nastri Gialli, fatene buon uso e se aspettate un vostro caro lontano, se avete un Soldato in famiglia partito in Missione, se dediserate dimostrare il vostro affetto e la vostra vicinanza a tutti i nostri Militari impegnati all'estero, distanti dalle loro case e dalle loro famiglie, legate un Nastro Giallo dove tutti lo possano vedere. Lasciatelo esposto fino al loro ritorno, in modo che anche quando arriveranno sulla via di casa, potranno rendersi conto che non sono mai stati soli, che per tutto il tempo della loro assenza da casa, non sono mai stati dimenticati e che tutti noi siamo grati e riconoscenti del loro impegno e del loro sacrificio. Riempite le vie delle città e dei paesi in cui vivete, di Nastri Gialli, iniziate dalle vostre case, coinvolgete i vicini, e tutti coloro che amano i nostri Militari. Fate il modo che loro sappiano che noi li sosteniamo e che siano consapevoli che le loro famiglie sono appoggiate e supportate, quando loro sono lontani. Chi parte e chi resta non deve mai più sentirsi solo. 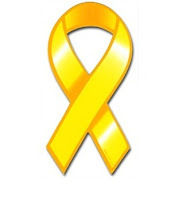 Many of you will have noticed that we often use pictures of yellow ribbons to decorate our blog and facebook page and when we use slogans in support of military families. Many know what the significance of this symbol is and others will have guessed but I would like to go deeper into this subject and explain its origins and the importance of this symbol for so many military families. The Yellow Ribbon first took on this clear meaning of support for families in 1979 as they awaited their loved ones kept far from home. That year there was a serious political crisis between the United States and Iran which ended in the kidnapping by a group of Iranian students of 52 members of the American embassy in Tehran. These 52 Americans were held hostage from 4th November 1979 till 20th January 1981. During this time various attempts were made to free the hostages. Military helicopters were sent over but, for reasons which have never been clarified, they collided with one another and 8 soldiers were killed whilst another 4 were left injured. The American people were disgusted with what happened and more so for the total and complete indifference of the Iranians towards the international rights and diplomatic immunity which is supposed to be enjoyed by those who work in Embassies in foreign countries. In December 1979 the wife of the oldest hostage taken, Penelope Laingen, after trying several times to get the press’s attention drawn to the matter, took action which then really worked. Inspired by the song “Tie a Yellow Ribbon Round the Ole Oak Tree” written in 1972 by Irwin Levine and L. Russel Brown and made famous by the group Tony Orlando and Dawn, she tied a yellow ribbon round the trunk of a tree in her garden in Maryland. This had been done previously by Gail Magruder, the wife of Jeb Stuart Magruder who had tied a yellow ribbon round a tree on their lawn on the freeing of her husband after a time in jail due to being involved in the Watergate scandal. Penny told a journalist of the Washington Post who was writing an article about the families of the hostages held in Tehran and the emotional stress they were going through. The journalist told of what Penny had done in his article and it was not long before the whole nation was invaded by yellow ribbons tied everywhere on trees all over the country. Fortunately the hostages were eventually released after a long time of being held and after diplomatic negotiations between the two countries and their families were able to welcome them home. 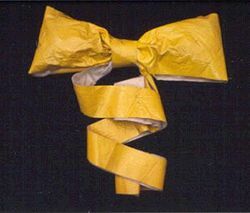 The symbolic significance of the Yellow Ribbon tied around a tree was kept on and was used also during the Gulf War when the tying or wearing of a yellow ribbon took on an expression of love and solidarity towards those who had gone to fight and face danger. So now that you know the origin and story of the famous Yellow Ribbon, make good use of it, and if you have a Soldier in Mission or you want to demonstrate your love and support for all those away in Mission abroad and far from their families and loved ones, tie a yellow ribbon where everyone can see it. Leave it there until they come so when they see it they will know that they have never been alone and forgotten while they have been away and that we are all grateful for their commitment and sacrifice. Let’s fill the towns and streets where we live with Yellow Ribbons and get our friends and neighbours involved. Let’s show that we support our military and that we are there for the families when their loved ones are away. Those who leave and those who stay behind must never feel alone. Let’s fight for this. Let’s begin with a symbol that will then take us far….